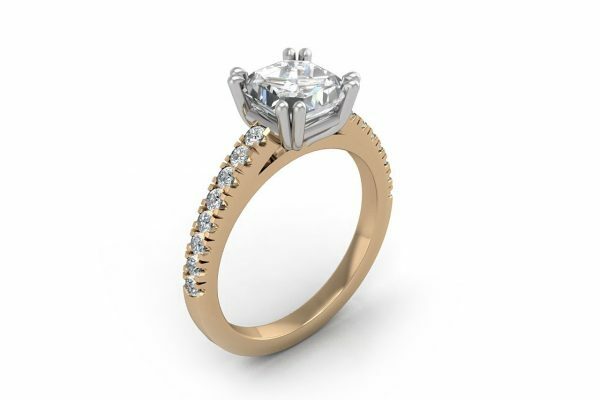 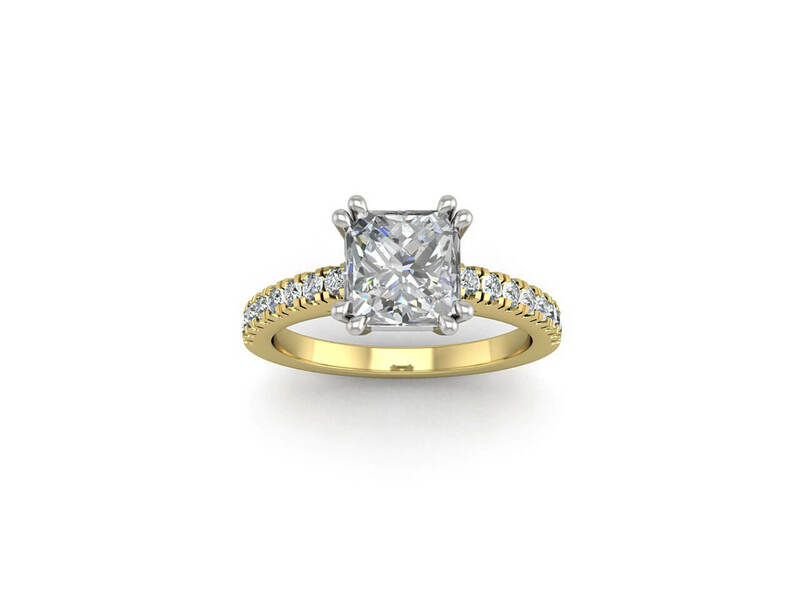 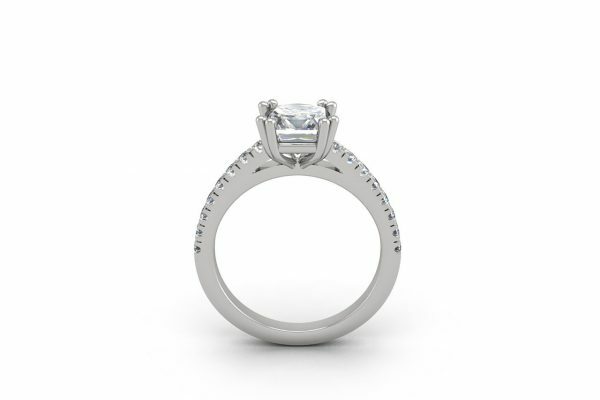 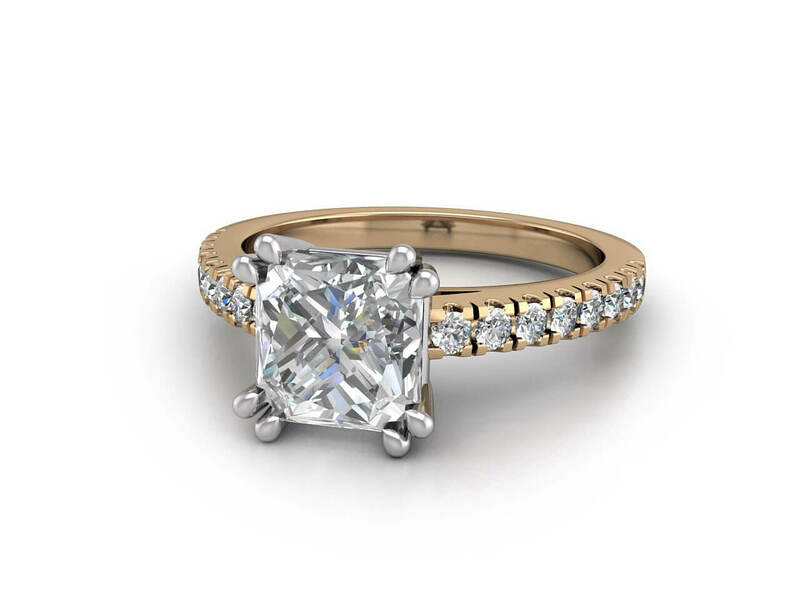 This magnificent ladies Radiant cut diamond engagement ring can be custom-made to your specifications. 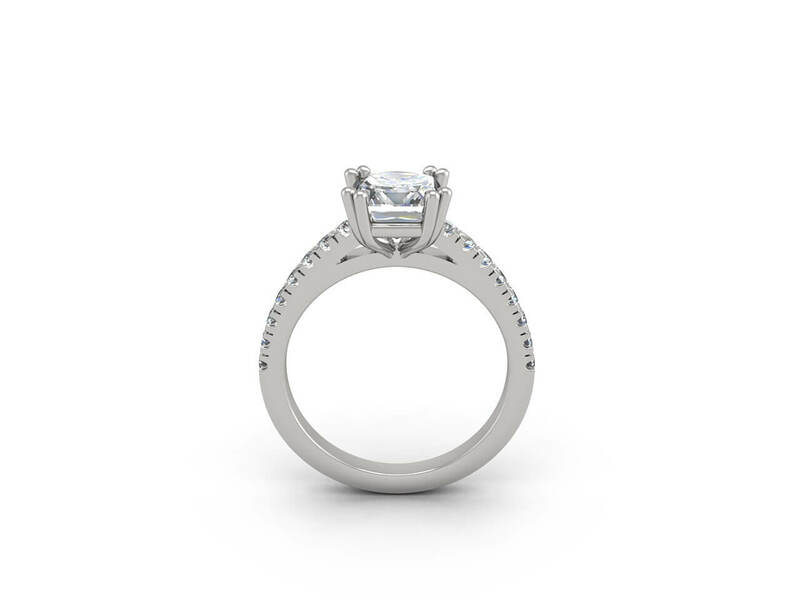 The brilliantly cut centre stone is securely held high by four double claws and is complimented with a diamond band consisting of 16 round diamonds. 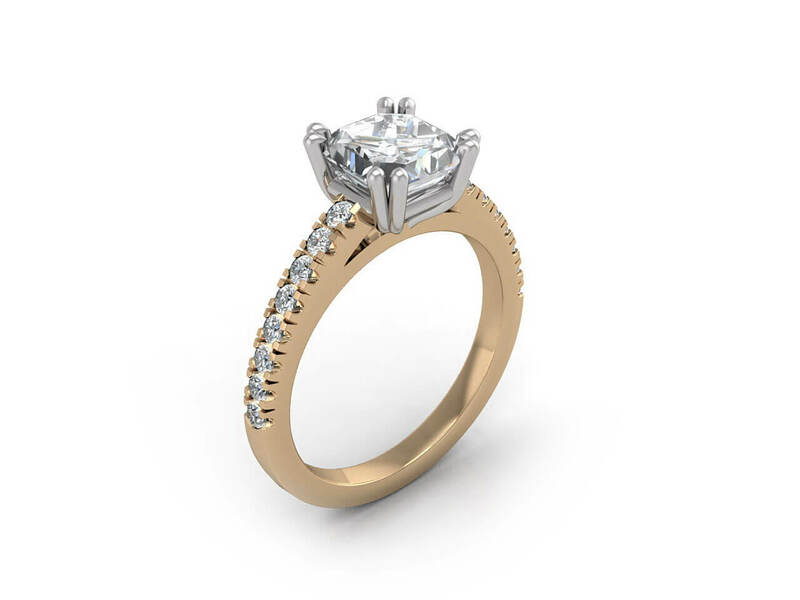 It can be set with your choice of a GIA certified centre diamond and can be custom made in 18k white gold, yellow gold, rose gold or platinum. 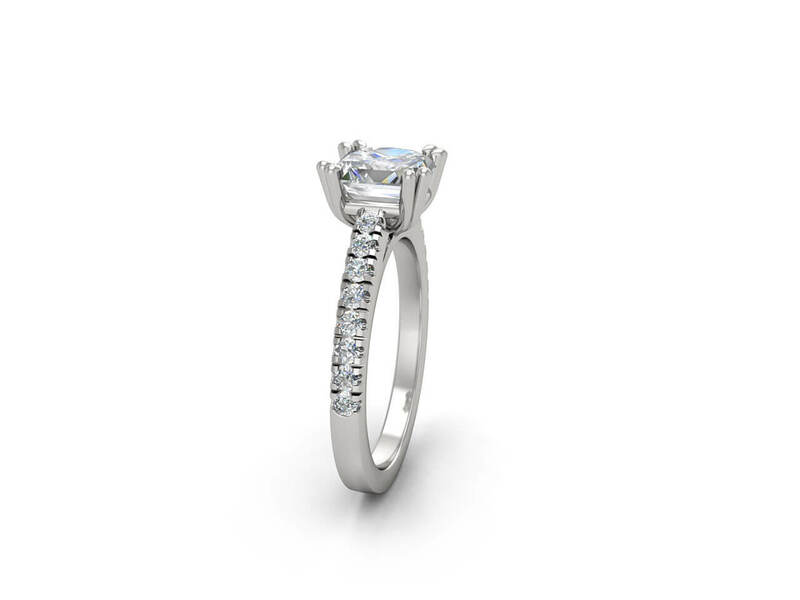 Weight side stones: 0.32ct aprox.